CAMARILLO, CA--(Marketwired - Feb 24, 2014) - Salem Communications Corporation (NASDAQ: SALM), and #1 New York Times bestseller Karen Kingsbury have announced a partnership uniting Kingsbury with Salem's Today's Christian Music national radio network and Salem's Family Fiction magazine. Starting in April, Kingsbury will host a daily weekday on-air shift from 2 to 7 p.m. CST on the national radio network, including its flagship station, 94FM The Fish in Nashville. Additionally, Salem's "Family Fiction" magazine will be re-branded as "Karen Kingsbury's Family Fiction" with Kingsbury and Salem sharing content and distribution synergies relative to the publication. Michael Miller, vice president and general manager of Salem's music networks and magazine publishing division, says, "We couldn't be more excited! Everybody loves a good story and Karen is the consummate story teller. In guest appearances with us, she has quickly bonded with our audiences. Her on-air persona just sparkles and her versatile gifting allows her to communicate captivating stories both in book or magazine format, and in very short conversations in between songs on the radio." Added Vance Dillard, program director of Salem's Today's Christian Music radio network and 94FM The Fish/Nashville, "Karen is a real communicator. She brings a naturally charming personality along with an ability to communicate one on one with our listeners. Every day will be a delight as she shares her wealth of stories and life experiences. This will be a unique listening experience." "I feel like I'm living a dream," Kingsbury said. "I never could've imagined having my own national radio show. My new friends and co-workers at Salem are the best in the business. I can't wait to do my part to tell the nation and the world about this network's life-changing music." Kingsbury is represented by Rick Christian, president of the Colorado Springs-based literary agency Alive Communications, who noted that this is an exciting time in Karen's career. "This is a tremendous opportunity for Karen, growing out of an initial interview she did on Nashville's Fish station. Salem and all of its multi-media initiatives are a land of opportunity. Adding this partnership to Karen's growing list of projects in film, television and printed resources, allows her to continue to positively impact lives in untold ways." Kingsbury's broadcast and magazine partnership will commence this spring with her broadcasts being accessible to fans everywhere at TodaysChristianMusic.com and her magazine contributions available at FamilyFiction.com. Salem also owns Salem Radio Network, a national radio network that syndicates Christian and conservative talk, news and music programming to approximately 2,500 affiliated radio stations, and Salem Media Representatives, a national media advertising sales firm with offices across the country. Salem operates Salem Web Network, an online provider of Christian and conservative themed news, analysis and commentary. Christian content websites include: Christianity.com, Crosswalk.com®, BibleStudyTools.com, GodTube.com and GodVine.com, WorshipHouseMedia.com and OnePlace.com. Conservative opinion websites include Townhall.com®, HotAir.com, Twitchy.com, Redstate.com and HumanEvents.com. Salem also owns Regnery Publishing, the country's leading publisher of conservative books. Salem Publishing™ circulates Christian and conservative magazines including Homecoming® YouthWorker Journal™, The Singing News, Preaching and Townhall Magazine™. Xulon Press™ is a provider of self-publishing services targeting the Christian audience. 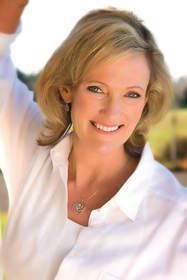 About Karen Kingsbury: Karen Kingsbury is a #1 New York Times and USA Today bestselling author who is America's favorite inspirational novelist. There are nearly 25 million copies of her award-winning books in print, including several million copies sold in the past year. Karen's last dozen novels have hit the top of national lists. Karen's latest novel, Fifteen Minutes, released on October 29, 2013 and stayed on national lists for several weeks. Karen has won the Gold Medallion for Best Book of the Year with her novel, Ever After. She also has also won the Retailer's Choice Award. Her novels have been a magnet for film and television producers and when not writing, she is often a popular speaker at women's groups around the country.